In April 2015, with the financial support of the Heritage Lottery fund, the Society carried out an archaeological dig on a site adjacent to the Motte and Bailey castle at Tadcaster. 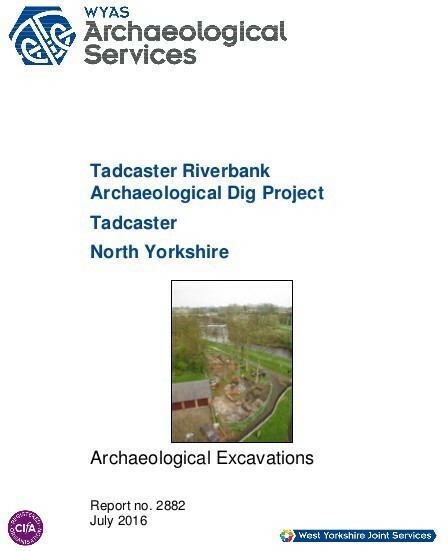 The dig was undertaken by many volunteers from Tadcaster and the surrounding area, the efforts being supervised by the West Yorkshire Archaeological Service. During the dig items from across the ages were discovered. Some examples are shown below. 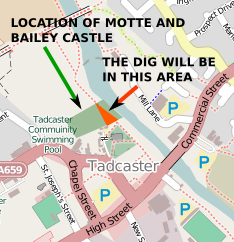 The Motte and Bailey castle at Tadcaster is one of the early Norman fortifications in the north of England and incorporated earlier existing defences. The remains are important for the study of the development of both castles and towns and the effect of Norman control in the early Norman period in North Yorkshire. The castle survives reasonably well despite building encroachment over part of the bailey and the part infilling of the surrounding moat. Motte and Bailey castles are medieval fortifications introduced into Britain by the Normans. They comprised a large conical mound of earth or rubble, the motte, surmounted by a palisade and a stone or timber tower. In a majority of examples an embanked enclosure containing additional buildings, the bailey, adjoined the motte. Motte castles and motte-and-bailey castles acted as garrison forts during offensive military operations, as strongholds, and, in many cases, as aristocratic residences and as centres of local or royal administration. Built in towns, villages and open countryside, motte and bailey castles generally occupied strategic positions dominating their immediate locality and, as a result, are the most visually impressive monuments of the early post-Conquest period surviving in the modern landscape. A good example of a motte and bailey castle which is accessible to the public can be found at Barwick-in-Elmet. English Heritage provide a full description of the castle. A Report of the Dig has been prepared by the West Yorkshire Archaeological Service and is now available for download as a PDF document. 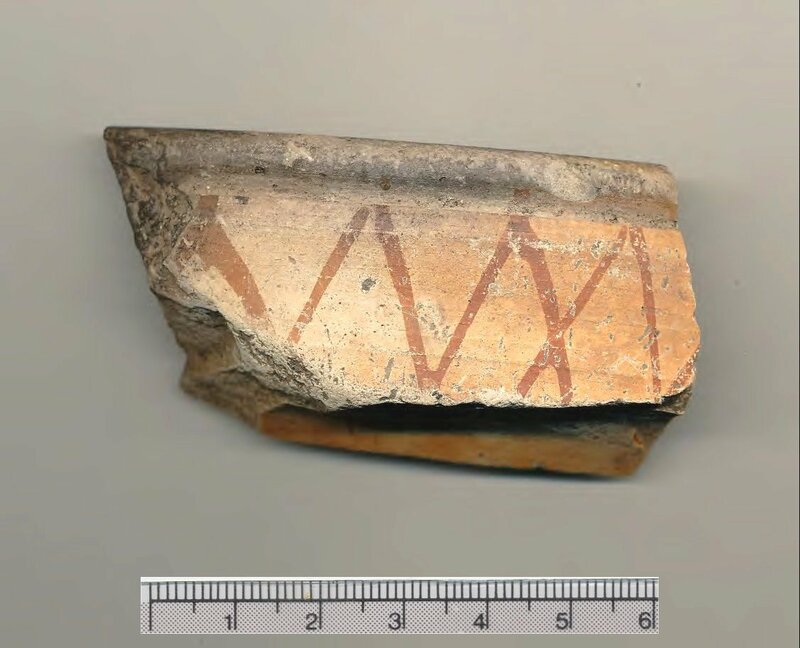 FINDS : The images below are examples of pottery sherds and other items found during the dig. 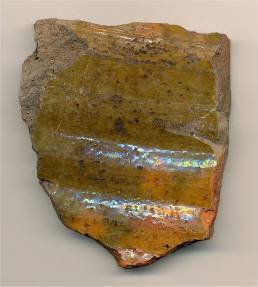 In the case of the pottery sherds, there are also images of complete items similar to those from which the sherds may be derived. The complete items were not found during the dig, but come from other locations. ANALYSIS : During the Riverside Archaeological Dig, numerous objects were found over a range of Neolithic to Modern periods. In conjunction with the results of other archeaological digs in Tadcaster, the number of items from different periods suggests a different location for the Roman and for the Medieval buildings within Tadcaster. 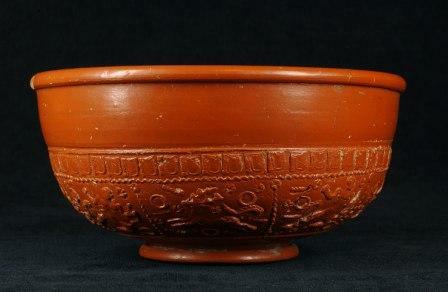 Samian Ware : This is a glossy, red pottery with fine detail, produced by throwing the pot in a mould. 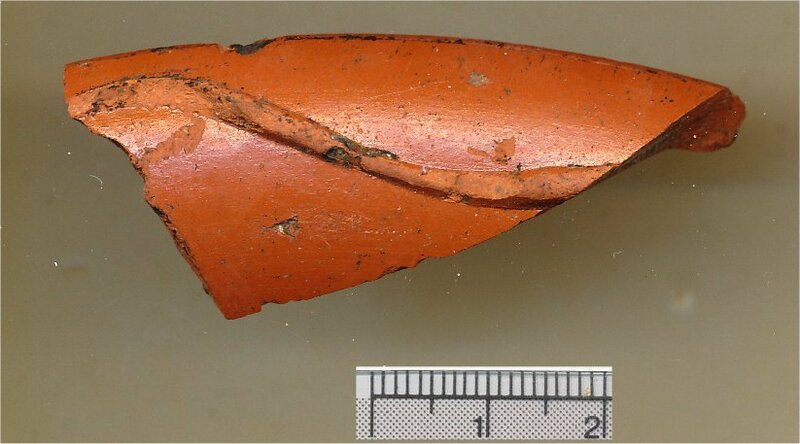 Many sherds of Samian Ware were found. They may have come from a vessel such as this bowl. 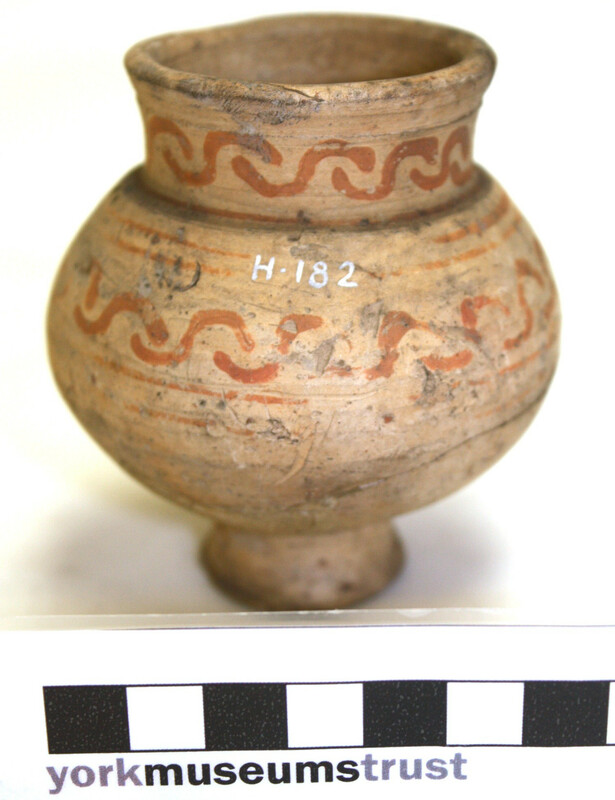 Cranbeck Ware : This pottery was produced in North Yorkshire at Cranbeck, near Whitwell on the Hill.. The sherd found is probably a piece of a mortarium. The Cranbeck style is illustrated by this jug. 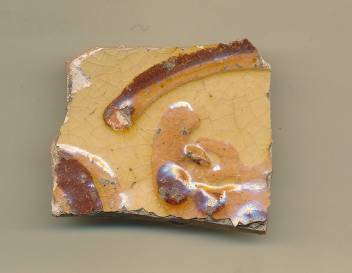 Medieval pottery sherds are not as well represented as Roman sherds. The spatial distribution of these sherds on the site of the dig and at other locations in Tadcaster suggest the extent of the Motte and the location of the Roman and Medieval town. 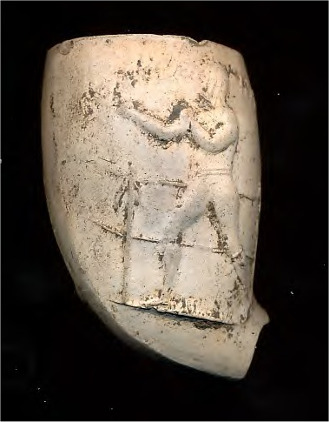 This sherd is an example of Humber Ware, possibly from a jug similar to the one illustrated here. 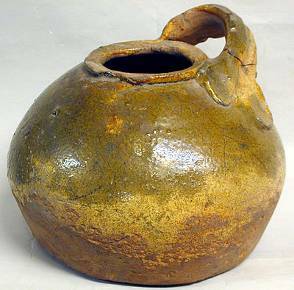 Humber Ware was made over a long period from the late 13th to early 16th century. Thomas Toft was a potter in the Staffordshire region in the middle of the Seventeenth Century. 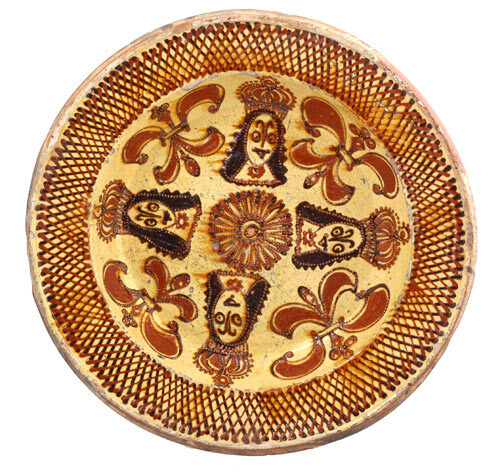 At this time the region was famous for the production of slipware as shown by this example dish. More information about the characteristic motifs on the dishes can be found here. 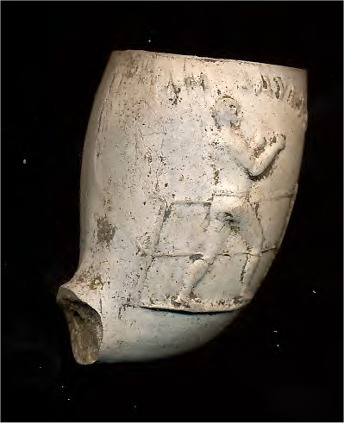 Many clay pipe fragments were found, the most impressive being this complete bowl commemorating a famous boxing match. 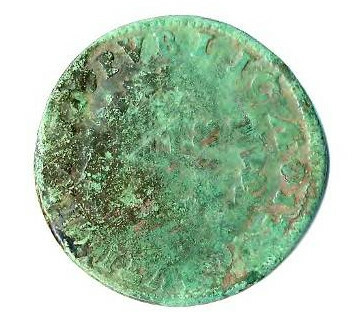 This weathered and stained coin is from Portugal, minted in the middle of the Eighteenth Century. One wonders how it made its way to Tadcaster to be lost, or maybe placed, somewhere in the old cottages. 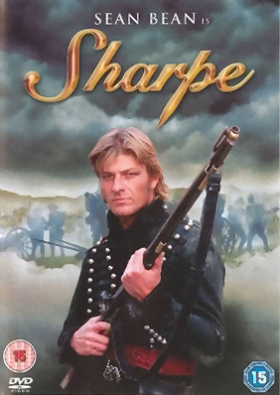 Perhaps it was brought back to Yorkshire by a soldier in the Peninsula War.